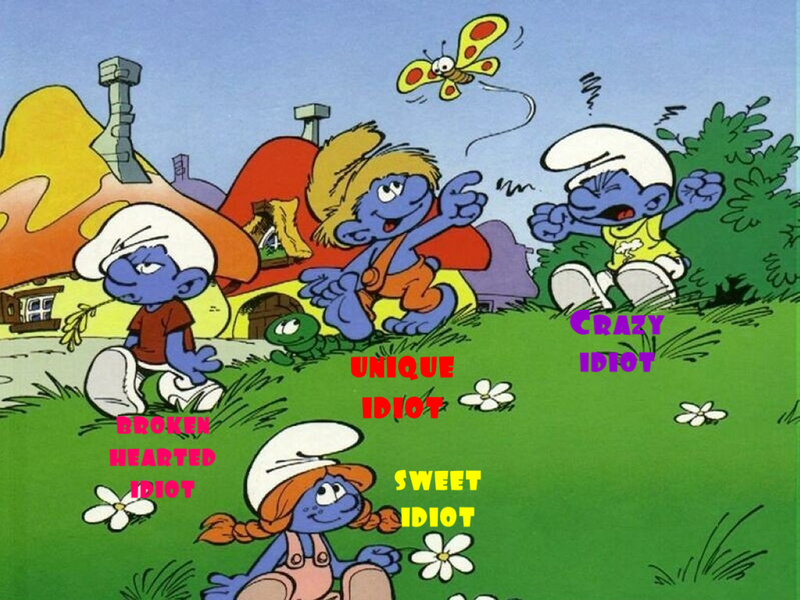 Idiot family smurf style!. sooo I just made this because of what our own lovely kitty cat said! :D She's right we're like the smurfs! :D not everyone is on this, so I chose the names I think fitted most with the smurf. I'll make one of all of us when I find a good picture! :D♥. HD Wallpaper and background images in the Maria&Jєnn♥ club tagged: smurfs broken hearted idiot crazy idiot sweet idiot unique idiot ♥. Awwwwww... My smurf is soooo sweet!